HIAWATHA, IOWA, November 1, 2016 — Crystal Group Inc., a leader in rugged computer hardware, specializing in design and manufacture of custom and commercial off-the-shelf (COTS) rugged servers, embedded computing, networking, displays, power supplies, and data storage for high reliability in harsh environments, today released a new case study on the U.S. Air Force B-2 Stealth Bomber Adaptive Communications Suite (ACS) in which the company provided rugged servers and displays. Incremental technology refreshes for the B-2 ACS provide the aircraft with the latest advances in commercially available electronics. Aircraft engineers sought updated rugged server and display options to meet critical requirements for high reliability and dependability. Crystal Group’s RS112PS18M Rugged 1U Carbon Fiber Server features ultra-light weight construction with four 2.5” drive bays. The B-2 team selected Crystal Group’s RS112 Rugged 1U Server, RS112PS18M Rugged 1U Carbon Fiber Server and RD1119 Rugged Display for the ACS upgrades based on Crystal’s proven reliability, advanced rugged technology, manufacturing expertise and customer centered responsiveness. Crystal’s rugged solutions provide an improved SWaP profile offering less weight, less power consumption, and a smaller form factor size. 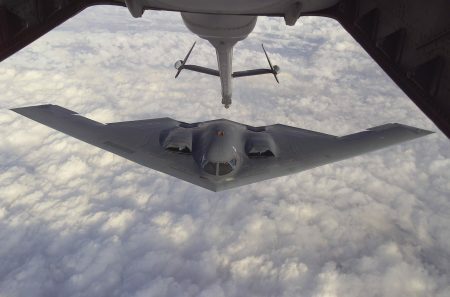 Following the ACS upgrade, the B-2 team realized enhanced communication and control capabilities along with easier system maintenance access which helps to keep the aircraft mission-ready. Crystal’s high reliability and dependable technology helps ensure that the B-2 fleet meets current and future communications requirements, giving the aircraft and crew superior defense capabilities in multiple mission profiles around the world. Read the full version of this rugged solution case study.